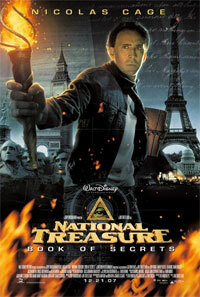 Several years since Benjamin Franklin Gates (Nicolas Cage) found the Knight's Templar and became rich and famous. Now, another treasure hunter named Mitch Wilkinson (Ed Harris) has found what is a missing page of the diary of John Wilkes Booth, which contains clues to the location of a lost city of gold, Ben must compete against Mitch to find the lost city, he goes to France and Great Britain to find other clues and even peak inside the President's secret book to put the pieces of the puzzle together, his parents and his friends also help Ben find the lost city and to stay one step ahead of Mitch. 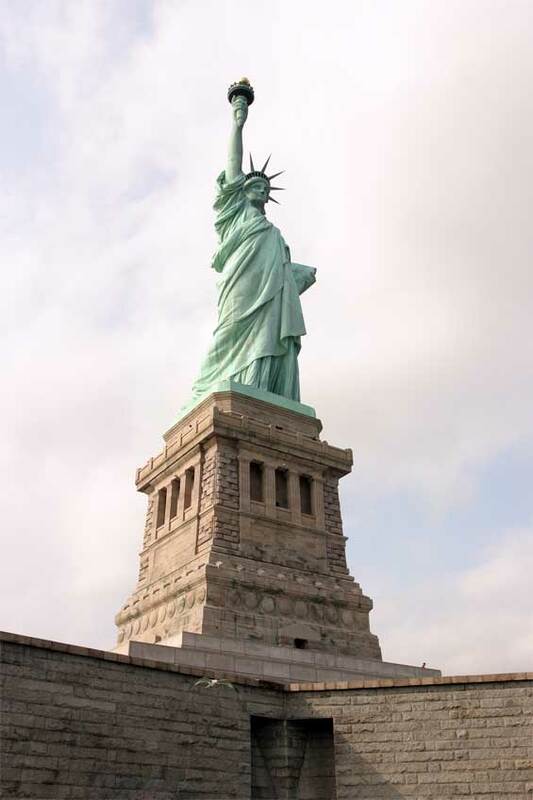 Liberty Island, formerly called Bedloe's Island, is a small uninhabited island in New York Harbor in the United States, best known as the location of the Statue of Liberty. The name Liberty Island has been in use since the early 20th century, although the name was not officially changed until 1956. Before the Statue of Liberty, Bedloe's Island was the home to Fort Wood, an eleven pointed star-shaped fortification made of granite. Because of this, its nickname was "Star Fort". The island is the property of the federal government and is operated by the National Park Service. It is accessible to the public only by ferry, either from Battery Park in Manhattan or Liberty State Park in Jersey City, New Jersey. 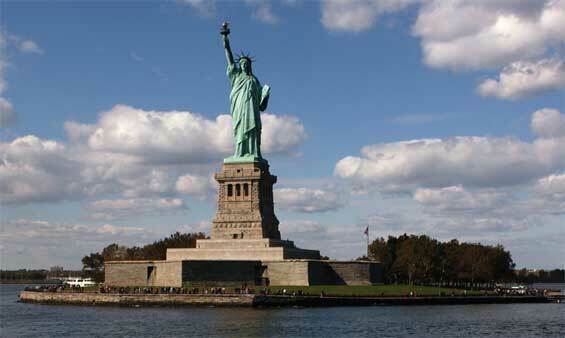 It is separated from nearby Ellis Island by approximately 1 mi (1.6 km). There is also ferry service btw the two islands. Liberty Island is 2000 feet (600 m) from Liberty State Park in Jersey City. By comparison it is 1-5/8 statute miles (2.6 kilometers) from Battery Park in Manhattan; this makes Liberty Island much closer to Jersey City than to the rest of New York City, of which it is a part. The island has a land area of 59,558 square meters, or 14.717 acres, according to the United States Census Bureau.